Your iPhone sure can do a lot of things, right? Pretty much anything you want to do, even measure your heart rate, there's an app for that. How about just to measure something? Snap Ruler has you covered for that. The next time you have something small that you want to measure, just pull out your iPhone and launch Snap Rules to measure it. It gives you a small ruler on your screen that you can use to see how long something is, as long as that something is smaller than your iPhone's screen. You can choose from inches, centimeters, and millimeters and either drag your fingers on the screen to create a ruler, or setup a ruler at a predefined length. That's pretty much it, simple, free, and handy. 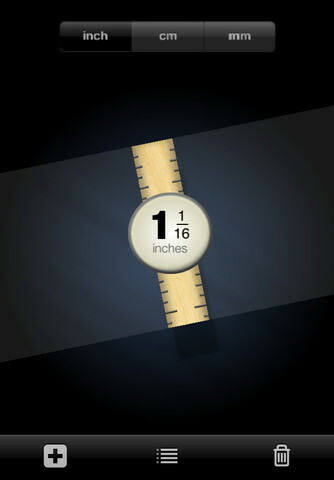 Just load it up on your iPhone or iPad and have it ready for whenever you need to measure something. 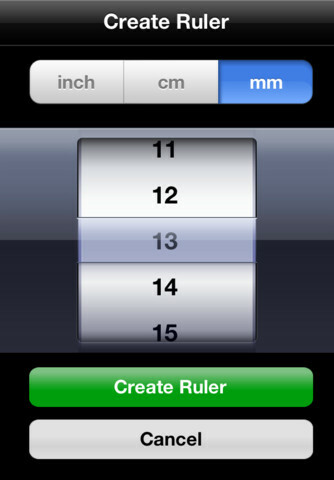 Snap Ruler is a Universal app that works on both your iPhone and iPad.